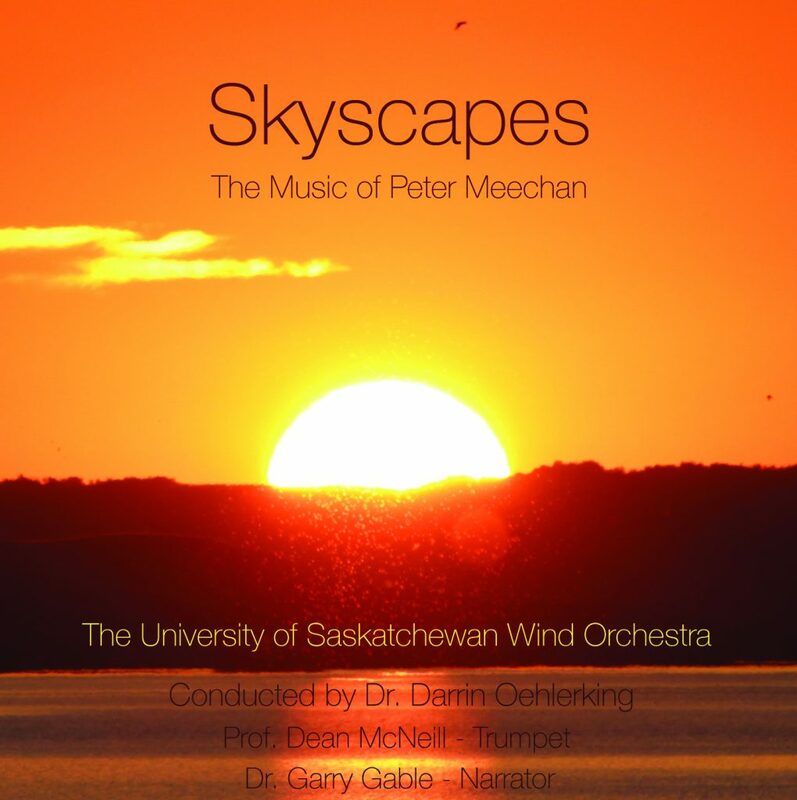 Throughout the last academic year, the University of Saskatchewan Wind orchestra under the baton of Dr. Darrin Oehlerking, have recorded a CD of my music, which will be released this coming weekend (Sat 29 October 2016). They chose repertoire that had been commissioned and/or premiered by Saskatchewan bands (I.S.S. Flyover, Skyscapes, Zenith and Autumn Falling), alongside several other works between grade 2 – 4 levels. 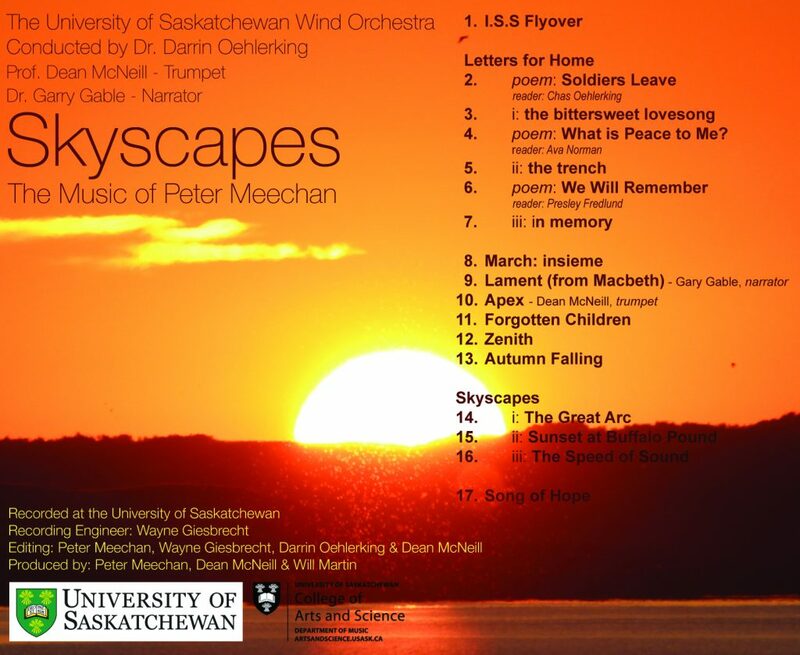 The recording also features Professor Dean McNeill on trumpet (Apex), Dr. Garry Gable narrating Macbeth’s monologue as part of their recording of Lament (from Macbeth), and members of Ms. Colleen Dueck and her Grade 4 class at Lakeridge School in Saskatoon (Letters for Home). I’d like to publically thank all involved in the project – all the members of the UofS Wind Orchestra, Darrin, Dean, Garry, Wayne Giesbrecht (who did an incredible job not just in recording the band, but in the editing during post-production).